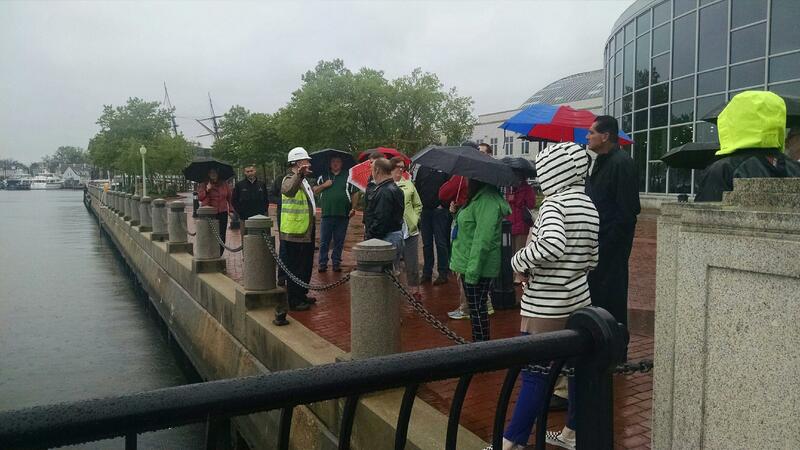 The Maryland Historical Trust’s Cultural Resources Hazard Mitigation Planning Program is here to assist local governments in integrating important historic places into hazard mitigation plans and planning activities. The program provides technical assistance on a variety of topics related to floodplain management, hazard mitigation planning and actions, disaster response and recovery, and climate change. Training is also offered through static modules on the Maryland Historical Trust’s website and live presentations on how to conduct a risk assessment and how to complete other components necessary for developing a cultural resources-specific component for a local hazard mitigation plan. Training can be tailored to address an audience of historic preservationists and planners or that of emergency managers and floodplain managers. Additional training modules will be added to the website soon. As a member of the Maryland Resiliency Partnership, the program is supported by the other members of the Partnership. Partners help provide responses, as needed, to technical assistance requests and collaboratively to advance resiliency throughout the state by coordinating training and outreach, and coordinate efforts to support non-capital and capital projects involving hazard mitigation and floodplain management. The Maryland Resiliency Partnership, led by the Maryland Emergency Management Agency, recently completed a series of meetings conducted throughout the state to present a suite of tools for local governments to utilize in updating their local hazard mitigation plans and in conducting hazard mitigation activities. Recognizing that the first step to protecting historic properties is identifying what properties are historic, the Maryland Historical Trust developed an approach to surveying historic resources in hazard-prone areas, which involves collecting architectural and flood-hazard related data on specific historic buildings using the Architectural Survey Form for Hazard Mitigation Planning, and when appropriate, documenting the area surrounding the vulnerable resources as a survey district. Using a single Maryland Inventory of Historic Properties (MIHP) form, the preparer can look at the survey area as a cohesive whole with a shared history: a survey district. All forms and documentation that meet the Standards & Guidelines for Architectural and Historical Investigations in Maryland are submitted to the Trust for inclusion in the Maryland Inventory of Historic Properties. The information can be used for mitigation planning and developing mitigation projects, or as a basis for conducting additional, more detailed architectural and historical investigations in a community at a later date. Either way, the shared approach is a win for mitigation and a win for increasing our knowledge of under-documented historic communities in Maryland. 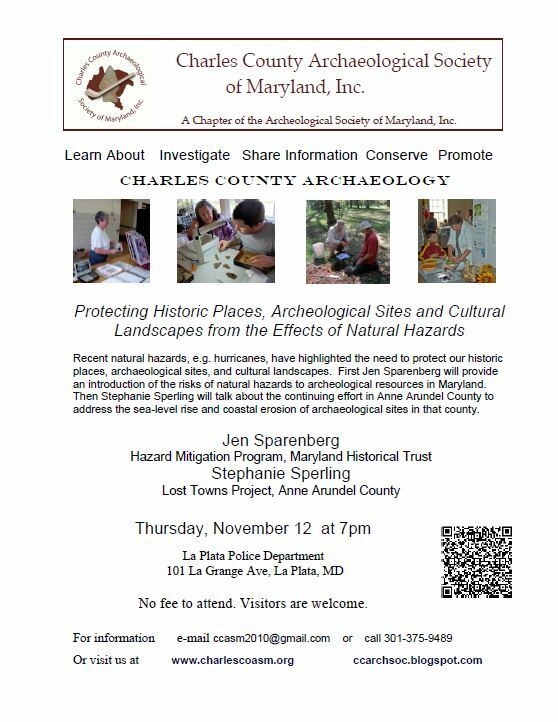 For more information on the Cultural Resources Hazard Mitigation Planning Program, please contact Jen Sparenberg at (410) 514-7641 and for more information on Survey Districts, please contact Heather Barrett at (410) 514-7642.